How to Draw a Piranha – Cartoon Style! Easy Beginner Drawings – Making it fun to start! What does this mean, and does it actually hold true? Well, as I often do, I was sitting around doodling the other day, and I started thinking about just that. And I realized that I myself wasn’t actually drawing from the shoulder a lot of the time. So, as is my custom, I began to ponder whether this was actually sound advice, or just another one of those dogmatic truths, that have been thrown around for so long, that we simply stopped questioning it. Naturally I decided to do the logical thing in such a situation, and dive into it, do my own research, and attempt to find out what the ups and downs are, to this matter. Should you be bending over backwards to try to learn to draw from the shoulder? Or should you stick with your childhood habit, and just draw from your wrist? Well the Answer I found is a Very Non-Dramatic: It Depends! It depends on what you’re actually drawing, on the size of your paper, on the tool you’re drawing with, on the style and/or effect you’re going for, and a lot of other factors. Confused? Well a little bit maybe, but fear not, I am about to reveal everything I’ve come to know on the subject! When people start drawing, the default tool that most people will reach for is usually a pencil. This is very understandable, as a pencil is usually readily available, you can erase any mistakes you might make, and it’s just what you always see “real” artists working with, right? Most people also grab the pencil in very much the same way as they have been taught to write: Very close to the tip, with a firm grip, controlling the pencil from the wrist, which gives great control of the pencil. And then they continue to the actual act of drawing by starting out with clear and sharp lines trying to get something nice on paper. This Approach is by no Means Wrong. It is, However, Very Difficult! -The pencil IS a great tool! It’s been, and still is, a preferred tool for many artists. But it does come with some important challenges, that might actually make it NOT the best choice for a beginner. 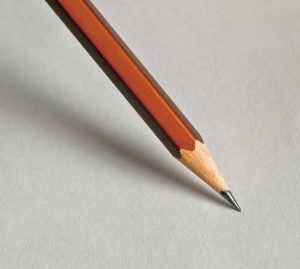 A sharp pencil is a very precise tool to work with. And it’s very flexible in the amount of colour actually being laid down on the paper. Depending on the hardness of the pencil, and on the pressure you apply. These traits make the pencil great for shading, as well as outlining. So it makes it a sort of complete tool in itself. Well suited to start and finish complete drawings without the use of anything else. But all this flexibility actually makes the pencil quite hard to master! So what can easily happen, is that they get caught up in small details -the hardest part of a drawing- and they end up spending a lot of time not really being satisfied with how it looks, and not getting to the big picture (pun intended). This ultimately leads to frustration, perhaps giving up, and once again reaffirming that drawing is too difficult a task, and not for them! 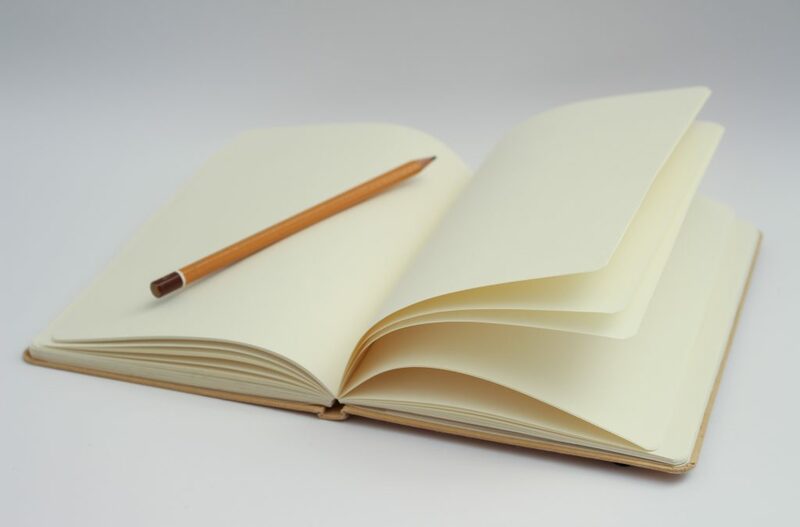 Now, if you wanted to avoid this situation, you could simply take a bigger piece of paper, perhaps place it on an easel, and then sketch something quickly, in broader strokes, you would be forced to draw from your shoulder, simply because you would not be able to rest your elbow on the table. And I guarantee you, that you would be much more likely to catch the overall vibe of what you’re going for! And then afterwards, it would be a lot easier to fill in the details, since you would have a “skeleton” to hang everything on. The big picture and the overall feel of a drawing is found in the broader strokes, and NOT in the details. (The broader strokes that are SO much easier to do when you’re drawing from your shoulder). This is the exact reason why almost all artists start out with some very basic shapes representing the overall outline of the picture. And only after they capture the essence of the movements and the “vibe” of what they’re trying to draw. Then they go into the details of the picture. Imagine playing Pictionary (the game where you draw pictures, and your team has to guess them). Let’s say you get tasked with drawing a tennis game. Would you start going into the finer details of getting the fluffy texture of the tennis ball just right?!? No, of course you wouldn’t! You would draw two stick figures with crude rackets made from a line and a circle. And that would be absolutely enough! With 99% certainty you would win the round, and move your team forward towards victory and glory! The point being -again- that you get the message across in the big picture, not in the details. Stick figure tennis. Not exactly a masterpiece, but the message is crystal clear. 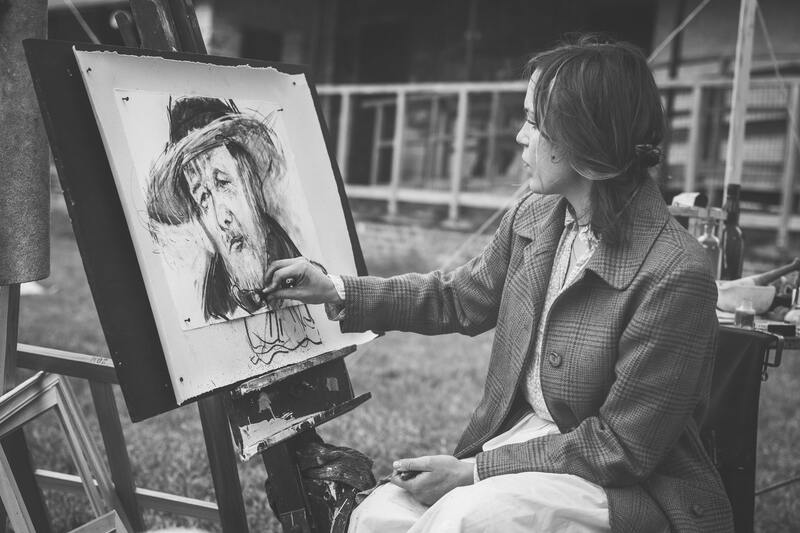 It’s a fact that many art classes actually start out with the first lessons being taught, standing in front of an easel, drawing with charcoal -quite a clumsy tool. This makes it pretty much impossible to go into small details, and thus it forces you to focus on the larger strokes. I would speculate that this is a very conscious decision. -A light grip, and an equally light stroke with the pencil. Breaking the drawing down to basic shapes, that are placed correctly in the right proportions. And only then -slowly- filling in the details. This is a much easier approach. And this is when drawing with your shoulder becomes so immensely effective! -What it does is, It frees up your drawing hand. This, in turn, extends your range dramatically, which leaves you free to really move around the paper, and go wherever your mind and eye takes you. It is what gives you that flow and smoothness, that will allow you to capture postures, motions and dynamics on paper. -Capture life, if you will. And this is fantastic when you’re laying down the loose and quick strokes that are typical for sketching out the very beginnings of a drawing. OR… for when you’re not entirely sure what you want to draw and just want to throw some lines on a piece of paper, to see if inspiration springs forth. OR… for when you want to try out some different versions of a drawing before actually going into the details of it. All scenarios, that will set you up for success when you actually get into the details of your drawing. Once you have your basic outlines, and all the elements of your drawing placed, THEN you go into the details! And this is the point where your drawing technique becomes a lot more diversified. Meaning that now you start cleaning up the lines from your initial broad strokes, and start adding in the details. And this is when you whip out the full arsenal! When all is fair, just like in love and war! Now you draw from the wrist, from the fingers, from the elbow etc. You smear your lines, you use your eraser for special effects. Basically anything you need to do, to get the effect you want on paper. There are NO rules! So the short answer to the initial question of whether you should be drawing from your shoulder? My opinion is: absolutely! But you should also be drawing from your wrist, and from everything else available to you! As I’ve stated a couple of times, there’s a great amount of freedom that comes from drawing from the shoulder. However, all this freedom and ease of movement obviously comes at a price. A price in the from of precision. It takes a lot of practice to actually lay down these flowing lines the right way. And it will also lack the details that you can add when you’re drawing from the wrist. This is why you should spend some time practicing drawing from your shoulder. Fortunately I have a couple of great exercises for just that, and you can find them right here. The basic principle is that you hold on to your pencil with a light grip, and then you hold your wrist steady, while moving your entire arm in one motion. This works best if you go at a reasonable tempo. Too slow makes it very difficult, too fast makes it very imprecise. But remember that the purpose of the exercises is to incorporate it into your muscle memory, so that you no longer think about it. Once you get the movement internalized, you will not think about when to draw from your shoulder, and when to draw from your wrist. You will flow effortlessly between the movements, and combine them to give you the specific line you need at any given time. And that is when you’ll experience true freedom and true flow, and you’ll see your drawing escalate to a new level! Good luck, and happy drawing! Hi Michael, You are a wonderful artist! I kind of fancy myself an artist too. I used to LOVE scetching and I was very proud to boast that I can draw anything that I see. That faired out pretty well. However, never have I drawn ANYTHING as beautiful as your drawings. Especially on your YouTube channel I really must say that I went about excersising those talents in the wrong way then eventually lost interest in drawing. Nevertheless, our website has given me new initiative to wake up that long dormant skill with you guidance, suggestions and advice. If I am able to provide a little bit of inspiration, then that’s fantastic. I’ll be adding lots of free lessons and exercises over the next weeks and months, as I build out my site, so if you want to get back to drawing, you’re most welcome back. Wow, excellent break down of drawing form the shoulder, this helps a bunch! I have been skeptical as to whether I can really learn to draw and draw well, this has given me hope that I might be able to improve! Thank you so much Jacob. Happy you found it useful! I think most people do it backwards as you describe, and that is absolutely understandable. But moving inwards from an outline (if that makes sense, 😉 ) is just so much easier! Very happy that I was able to answer some questions. And good luck with your drawing lessons! This site is all about learning or relearning, as you may have seen. Thanks so much for visiting, and thanks for your comment. I love the title of the article and the content. I even found myself moving my arm from my shoulder to see if it would feel natural to draw this way. I am not a drawer though, but I do see a link to exercises for basic drawing skills. Your page has a real good flow to it. And I personally believe that most principles of movement are universal, so it makes a lot of sense to me, that you find this movement applicable to other situations. Thanks for visiting, and thanks for the comment! Michael on How to Draw a Piranha – Cartoon Style! Agnes on How to Draw a Piranha – Cartoon Style! Kristina on How to Draw a Piranha – Cartoon Style!